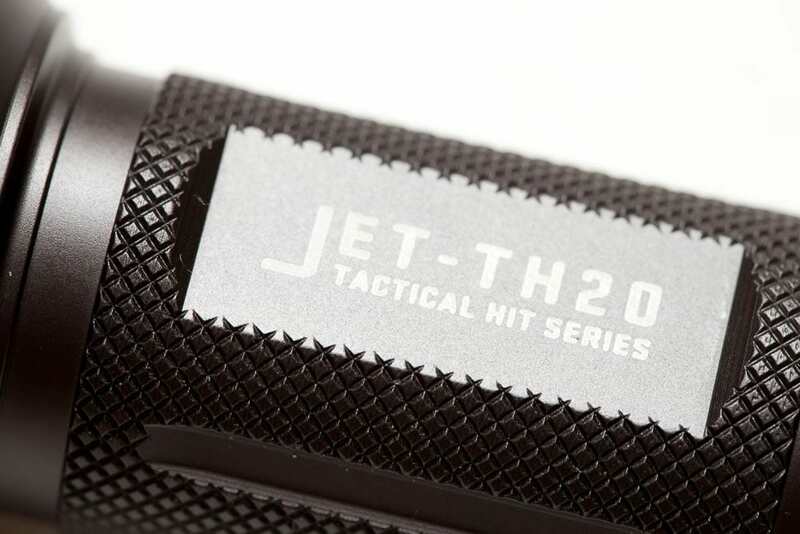 The TH20 is a Tactical light. This means that it can be used in combination with arms. Your thumb is positioned near the switch to control the light. 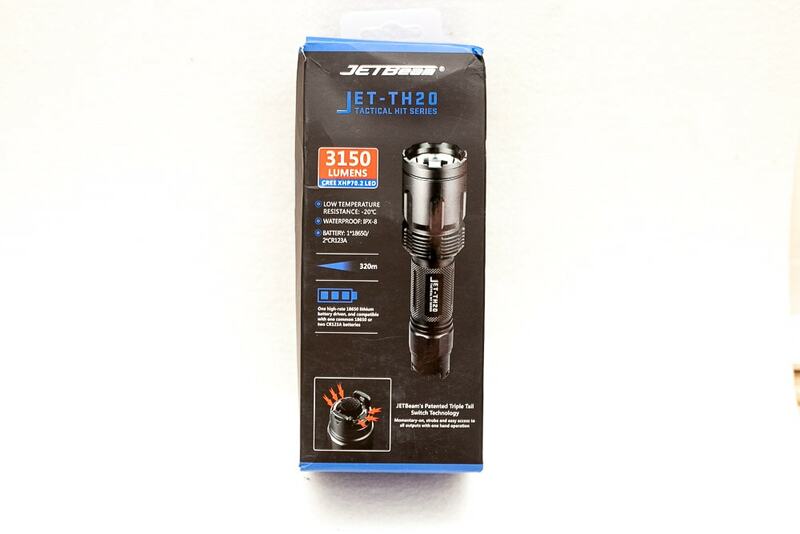 The Jet-TH20 (as the name on the flashlight indicates) has something special, it uses only one battery but with a 6Volt LED. It uses a boost driver to boost the voltage from 3.6V (4.2V) to 6V. 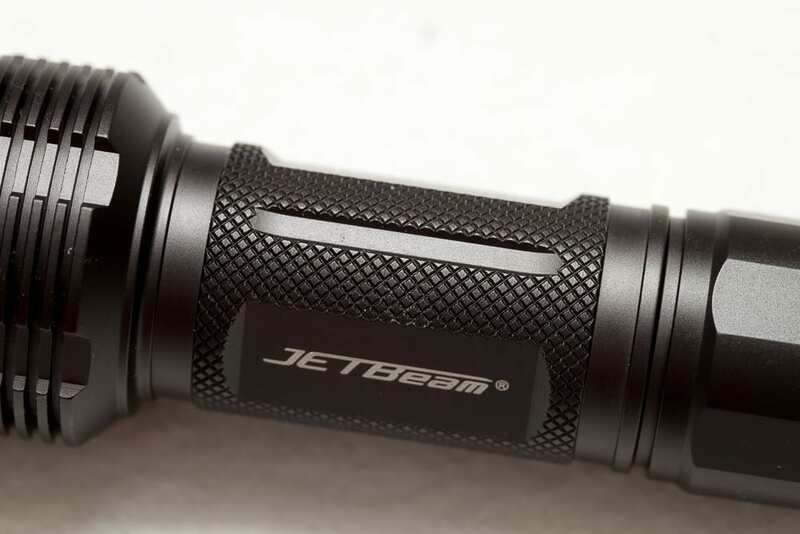 Jetbeam is a popular brand in the flashlight world, but is not keeping up with brands like Acebeam, Lumintop or Fenix. But let's see what the TH20 has to offer. I have to say that the packaging is so weak that it arrived bashed. A 18650 2600mAh battery was included, as well as a lanyard, and an extra rubber boot. When I opened the package I was a little surprised by the size of the flashlight. I thought it was similar in size as my Sunwayman V20C. But the head is quite a bit larger. It is longer and wider. It has a rear (mechanical) switch to turn the light on and off, and can be used as Momentary on. The negative side of this switch is that it is quite stiff and more difficult to press in than a regular switch on other flashlights. On a positive note, it doesnt have any parasitic drain...LOL In addition to the normal switch there are 2 little buttons that are used to change its brightness. And if the lamp is off, they are used for direct access to strobe mode. Anodization is the coating of a flashlight. The quality of anodisation Jetbeam is using is in my opinion one of the best in the world. 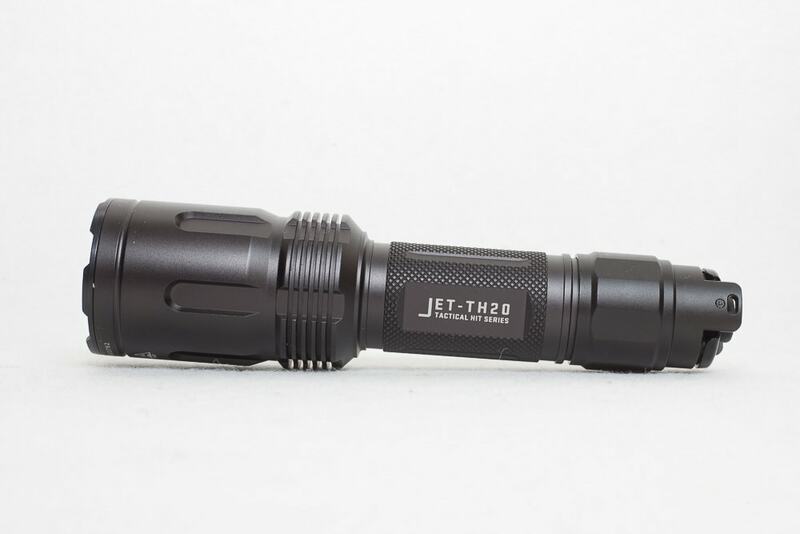 When I was holding the light, it reminded me directly of my Jetbeam RRT21 while I wasn't thinking about the brand for a moment, and then realized this is a Jetbeam as well. 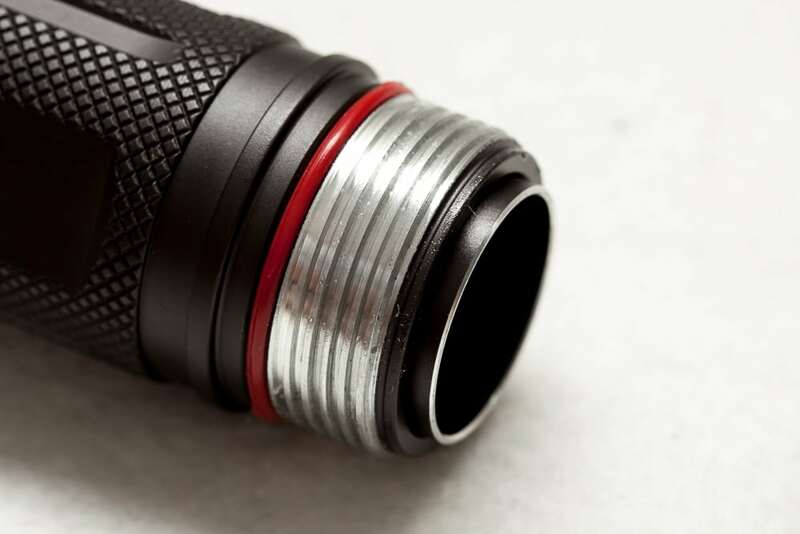 The coating and finish are like no other, and give the flashlight a rather premium look and feel. Well done Jetbeam! The build quality is top notch. Unfortunately though, the parts of the flashlights seem to be glued. I couldnt unscrew the head from the body. So if I ever had to change the driver, that could be a little difficult. I hope this is never going to be needed though. The tailcap can be unscrewed and has some gorgeous threads.. LOL. Nicely done and no problems to be found. The parts screw in very nicely without any squeky sound. They came lubed. 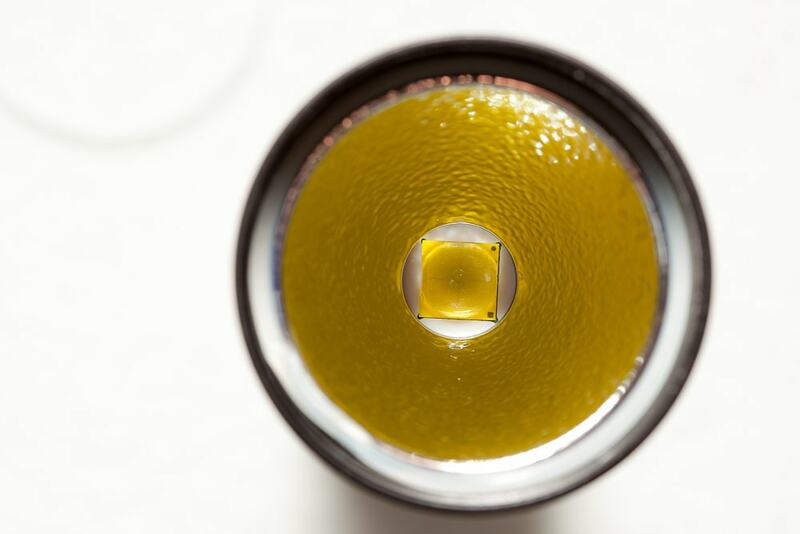 The reflector is made of aluminum and has an orange peel effect. This means that the reflector is not smooth, but has a kind of coarse finish, so that the light beam is not focused so much on one point but gives a wider beam. This gives it some smooth edges instead of sharp corona/spot/spill. The bezel is black aluminum, and not shiny stainless steel unfortunately...hehe bling bling... The bezel can be loosened by hand without too much power! The O-ring behind the lens was unfortunately not in place, and I had to push back a little bit. The pill seems to be made of copper! Something still rather unique (at the time of writing) is the XHP70.2 LED in combination with a single 18650 battery. The driver is a boost driver in order to increase its voltage up to 6Volts. 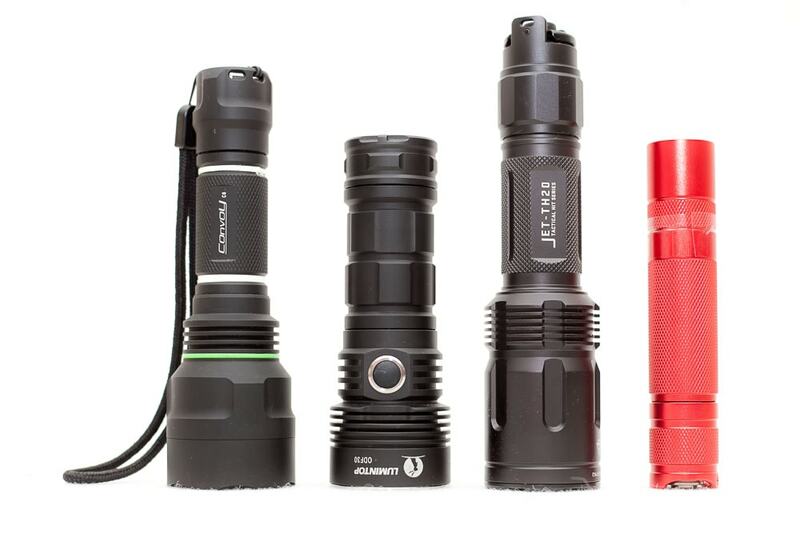 Below is a size comparison picture with the Convoy C8, the Lumintop ODF30 (with a 26650 battery) and a Convoy S2 +. As you can see the head is as wide as the C8 and ODF30. There are 2 types or buttons on the flashlight. The main switch, and 2 switches next to the main switch. The main switch is used to turn the flashlight on and off, and the 2 smaller switches (both have the same functionality) are used to change modes. 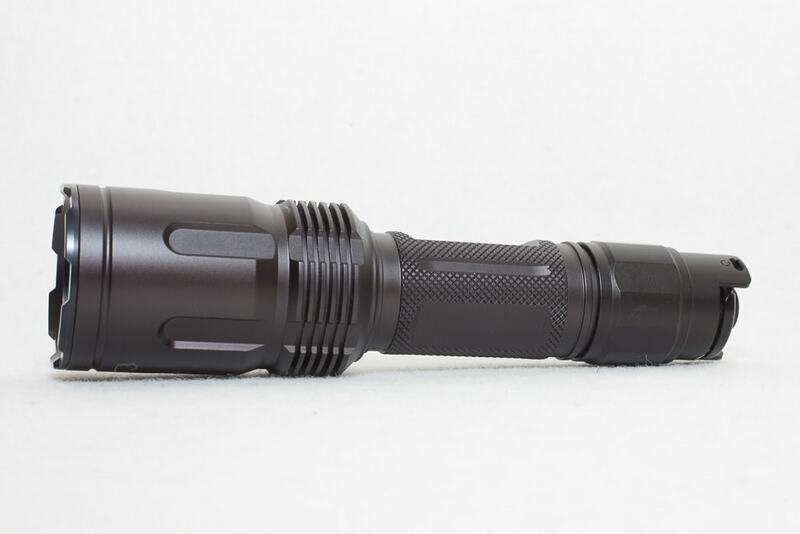 It does the reverse thing, because this is a tactical flashlight, and you probably want to have the brightest setting first. Unfortunately I couldn't find a way to enter the lowest mode directly. So no short cut as far as I know. If you press the main switch you can use it as momentary-on. This means that you can use signals such as Morse coding. The output of this setting is dependent on the last used mode (mode memory) So if he was in turbo, then the momentary-lacking will be the same as turbo. I couldn't get any readings on the tailcap. Probably because of the double switch. I dont know why, but I couldnt get it to work. Also the head is glued, so measuring it at the LED is also too difficult. After the runtime test, the battery showed 2.97 Volts on the charger. So it must have dropped a little more than that under load. I had to do the runtime test twice, because the app I used first produced too much data. Which froze my pc. Next I used the Android App LUX. No idea anymore where that came from. This is also to remind myself of using the correct app. The light actually increases its brightness when you turn it into Turbo.. this is rather interesting. Usually its instant, but this one ramps very quickly to max output. After 8 minutes the light drops out of Turbo into High. Please don't look at the time stamps.. I had a hard time with the numbers out of the App. (second app, second runtime) for over 1 hour because of the way the App spews out the numbers. And when I finally got this graph I was happy except for the time stamps. They dont make sense between about 20 minutes and 1 hour. After 1 hour and 13 minutes the light shuts off. The runtime is done with the 2600mAh battery that was included in the box. 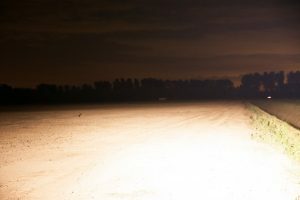 I did the lumen test a few weeks after the initial review, and now I can actually see that the light comes nowhere close to their lumen claim of 3150 lumens. 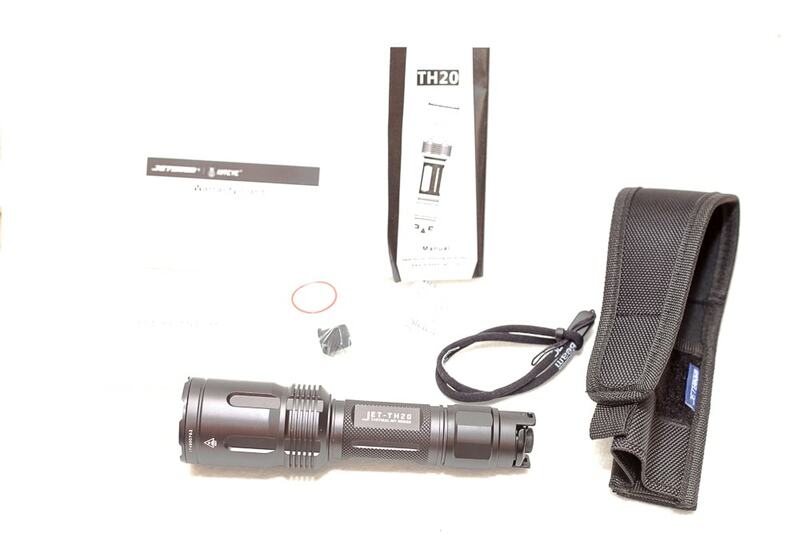 It only hits half of it, at 1600 lumens. It definitely is more of a flooder. The hotspot is very very wide. See the shots below. Not really, it decreases its output, and then shuts down. I have a problem here. I bought another lux meter recently, but the numbers are much different from my old lux meter. The new shows much higher values . 483 lux on the old meter and 630lux on new meter in Turbo (included 18650 2600mAh battery) That corresponds to 12000cd or 15750. This is far from the manufactur claimed 25000cd. But it wasnt supposed to 'throw' much anyway. The Lumintop ODF30 and the Jetbeam TH20 have about the same amount of lumens according to their specs. 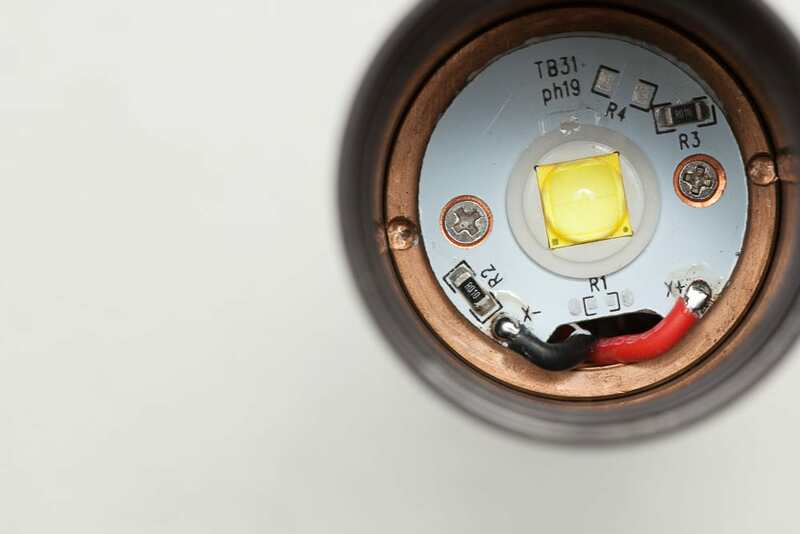 The BLF Q8 and Fireflies ROT66 are both around 5000-6000 lumens. It is pretty hard to see the differences, but in person it is easier to see the differences. You can see the tints are also quite different, with the ROT66 having Nichia LEDS that have a more rosy tint. 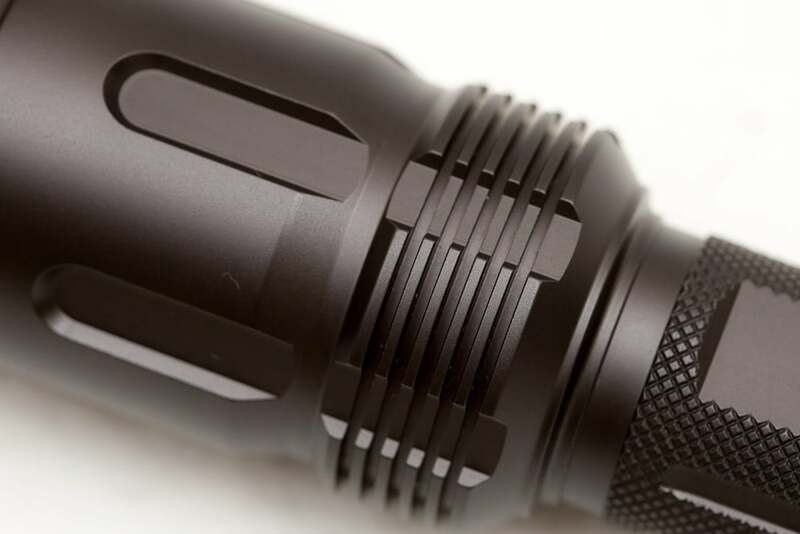 Direct access to strobe for tactical users. The body parts are glued, so you can not remove or replace the driver easily. Throw is less than on paper. There is really nothing to complain about as it does what it is supposed to do. It works as expected. Superb finish and coating. My 2 personal grips are the little hard to press switch and the modes going from High to Low without direct access to low. I could give it 4 stars as well because of this, but they are just my own preferences. Check out the Jetbeam TH20 price at Gearbest.